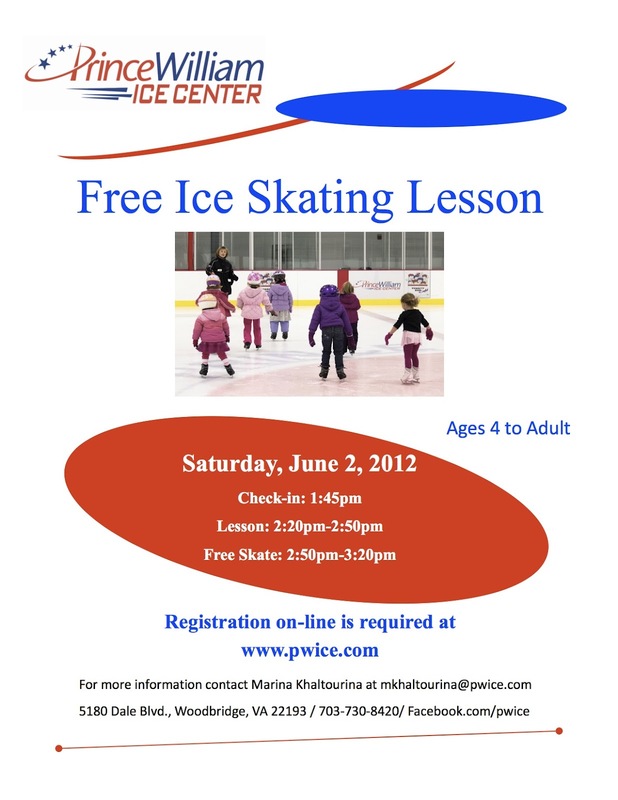 As we’ve mentioned about a million times, we love skating lessons and hockey at the Prince William Ice Center in Woodbridge, VA. If you’ve been thinking about a way to keep cool this summer, spending a little time on the ice is a great way to do it! Prince William Ice Center is offering a FREE skating lesson for ages 4 to adult on Saturday, June 2, 2012. To reserve your spot, just call 703-730-8423! !